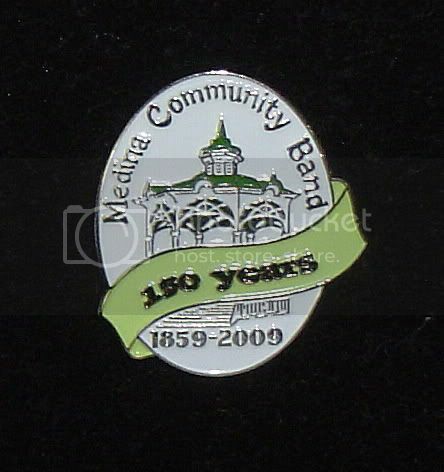 Medina Community Band 150th anniversary keepsakes are available for purchase at the Medina County Convention & Visitor Bureau located at the SW corner of Medina townsquare. 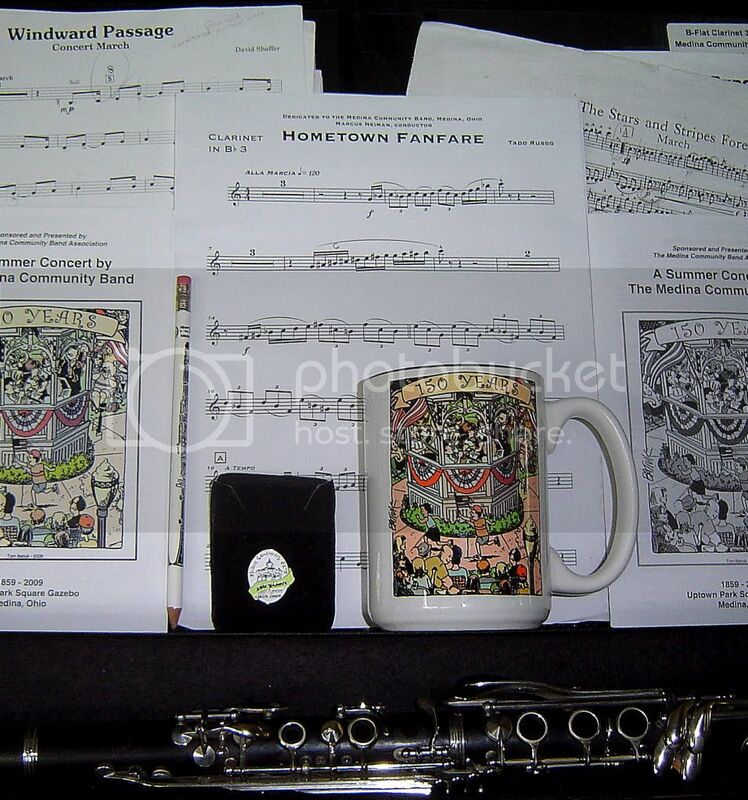 The mug has a green interior and features cartoonist Tom Batiuk's full color anniversary program cover on the front. 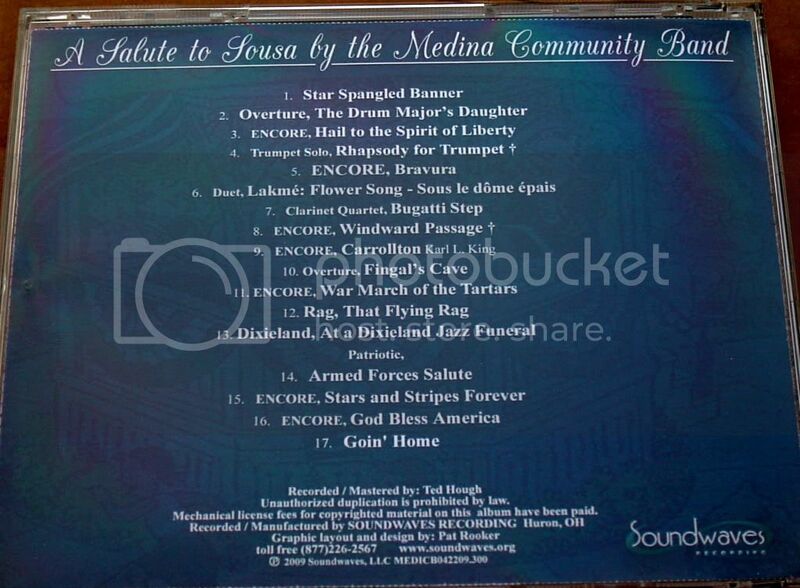 Cartoonist Tom Batiuk, who resides in Medina and has been a long-time friend of Neiman and the band, consented to craft a cover for the summer band programs in 1998. Batiuk had used the gazebo, the summer concerts, and even Neiman from time to time in his syndicated comic stripsFunky Winkerbean and Crankshaft. 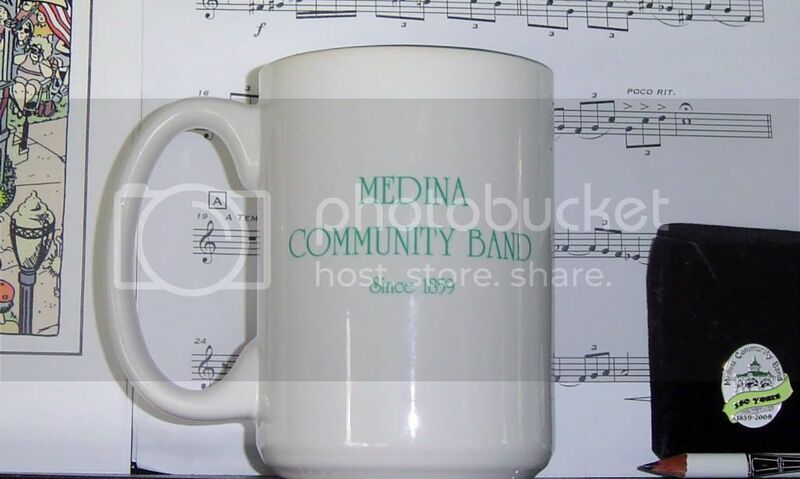 World famous band director Harry L. Dinkle gave his summer band concerts in the gazebo as well as Neiman conducting MCB concerts. Fortunately, the band concerts were not on the same night! 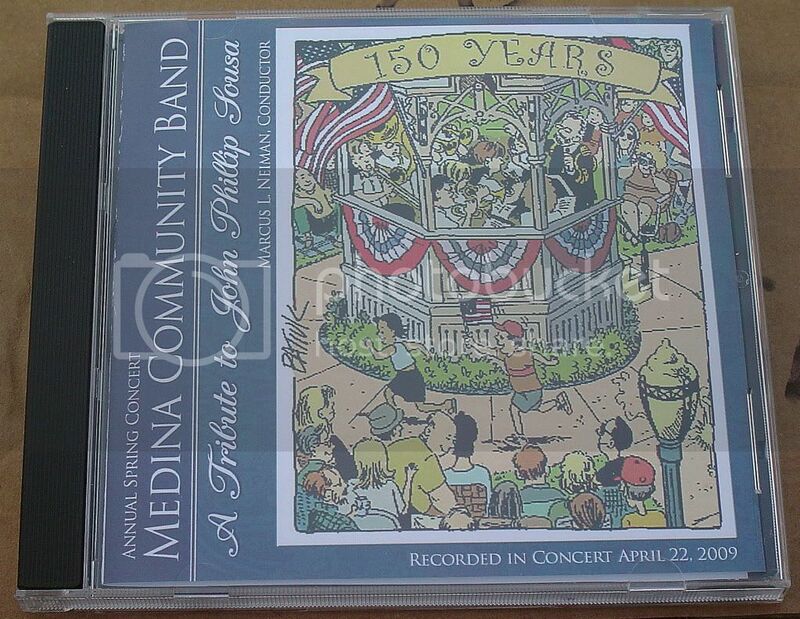 A new cover was crafted for the 150th celebration season as well.